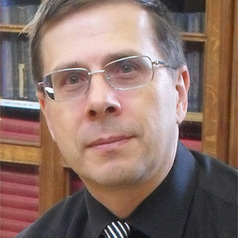 Michael Hughes carried out graduate work at the London School of Economics and was a British Council Scholar at Moscow University during the closing years of the Cold War. Before coming to Lancaster in 2013 he held posts at Brunel University and Liverpool University (where he served as Head of Department). Hughes has held visiting fellowships at a number of American universities. He was Council Member and Treasurer of the Royal Historical Society from 2010-2014 and is currently Treasurer of the British Association for Slavonic and East European Studies (BASEES). He has broadcast widely on Russian history and politics on TV and Radio. Hughes has published six monographs and some forty scholarly articles and chapters in edited books, as well as numerous book reviews and encyclopedia entries.